Last week, we hosted some students from the Accounting Club and Entrepreneurial Club at Goldey-Beacom College for a visit and a tour of our office. They got to meet people from all levels of our firm and had a chance to ask questions of staff and partners in the kitchen over some yummy snacks. 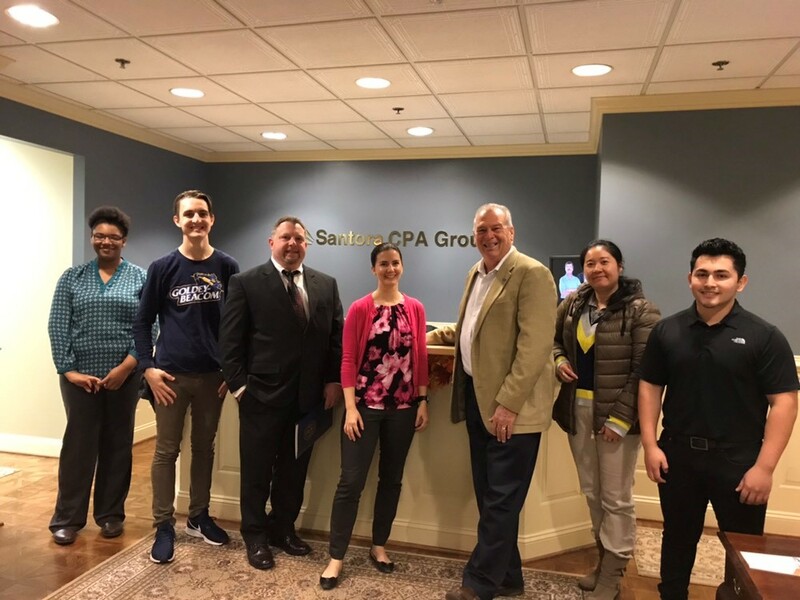 Overall, they got a peek at what life is like in a local CPA firm and had the chance to learn about the different opportunities available to them in the world of public accounting. In the photo are Jache’ Ross, Jonathan Hooper, Stephen Selph, Sarah Grantham from SCG – the hostess, Professor Keith Fleury, JD, MST, Qing Chen, and Jonathan Martinez.